Facebook and Microsoft announced that they would be joining forces to lay down the highest capacity subsea internet cable across the Atlantic. 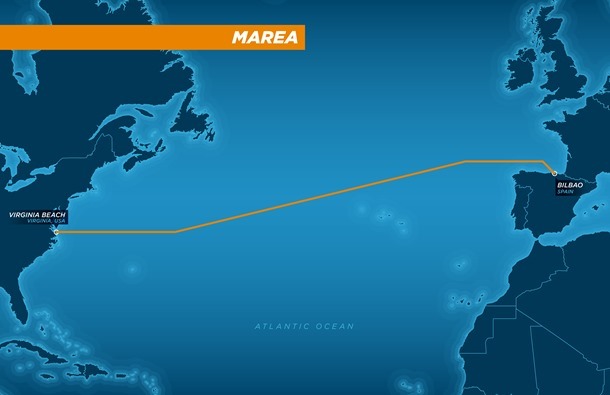 The internet cable—known as “MAREA” or “tide” in Spanish—will have its initial hubs between Northern Virginia and Bilbao, Spain. MAREA will run for some 4,100 miles and achieve bandwidth in the area of 160 terabits per second. The main objective of MAREA is to allow for Facebook and Microsoft to hit its data centers around the world faster. If you’re going to have data centers the world over, having cables run from the coasts are huge bonus and an additional bonus when your company isn’t the only one footing the bill for such an endeavor. With both the companies its especially true considering both have a number of projects and services on the board and in play such as Microsoft with its Xbox and Office-related services. Ocean cables aren’t a particularly new concept, but a pricey one to get things rolling. Back in the summer of 2014, Google announced it would be teaming with international companies to get the trans-Pacific cable project called FASTER off the ground. FASTER is expected to be live this year while MAREA is looking to finish things up next year after starting in August.